Sterling Ring in silver with texturing, hammering, etching. 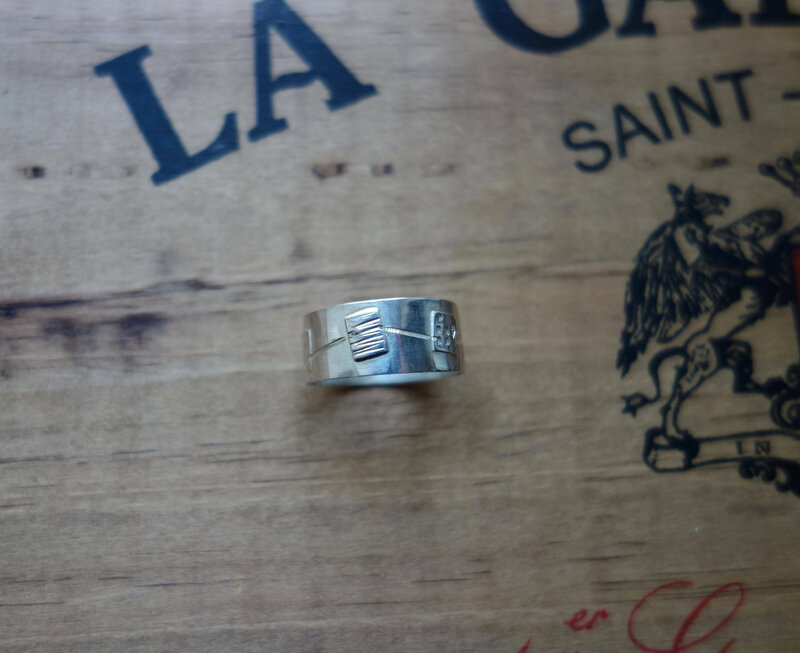 Unisex ring. 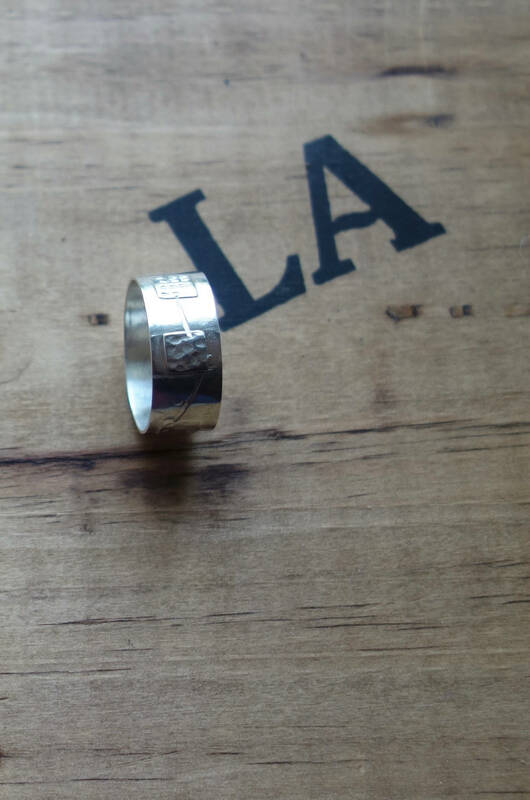 Ring in Sterling Silver for men or women. Size 67. Width of 9.5 mm ring. Material effects made with various jewelry techniques, hammering, soldering, engraving. This ring band is decorated with various geometric and abstract patterns. Unique piece. Artisan jeweler, I make each creation in my workshop located in France. Each piece is marked with my hallmark.